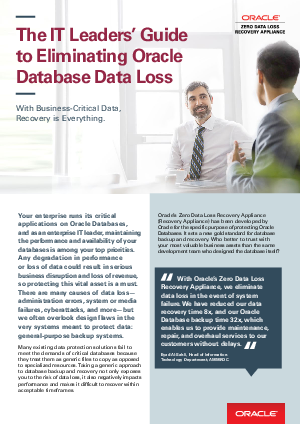 Your enterprise runs its critical applications on Oracle Databases, and as an enterprise IT leader, maintaining the performance and availability of your databases is among your top priorities. Any degradation in performance or loss of data could result in serious business disruption and loss of revenue, so protecting this vital asset is a must. There are many causes of data loss— administration errors, system or media failures, cyberattacks, and more—but we often overlook design flaws in the very systems meant to protect data: general-purpose backup systems.